Milo Greene will make its national television debut tonight on “Late Show with David Letterman.” The Los Angeles-based quintet will perform “1957,” the lead single from its self-titled debut album. Released by Chop Shop/Atlantic Records, the album, which the group co-produced with Ryan Hadlock (The Lumineers), just entered Billboard’s Heatseekers chart at No. 1. The band is currently in the middle of their summer headline run, which includes stops at Lollapalooza and a sold out Mercury Lounge show in New York City tomorrow night. Milo Greene’s fall headline tour goes on sale this Friday, July 27th, and support dates with The Walkmen will be announced shortly. Fans who register for Milo Greene’s official e-mail list at www.milogreene.com will have access to a ticket presale for the band’s fall headline dates today at 12 PM local venue time, with early venue entry guaranteed. After recording their full-length debut at Bear Creek Studio outside Seattle, WA,the members of Milo Greene turned their attention to writing and producing a short film to complement the album. Entitled “Moddison” – after an instrumental track on the record – it was shot in rustic Shaver Lake, CA, where the band had recorded many of its early demos. Directed by Chad Huff, “Moddison” is a series of individual music videos. While each stands on its own, when laced together in the proper sequence, the videos render a complete cinematic narrative. The videos are being premiered online – although not necessarily in the order that they appear in the 30-minute film. Milo Greene will put all the pieces together with a Los Angeles screening of “Moddison” in its entirety later this year. In the meantime, fans can check out the “1957” clip HERE. “‘1957’…is at once driving and lilting, filled to the brim with jangly guitar and exquisite vocal harmonies,” observed the Los Angeles Times while Nylon hailed Milo Greene as the “feel-good band of the summer.” “Milo Greene cast a cinematic spin on the sound forged decades ago by Laurel Canyon deities Crosby, Stills and Nash and Fleetwood Mac,” noted Angeleno. 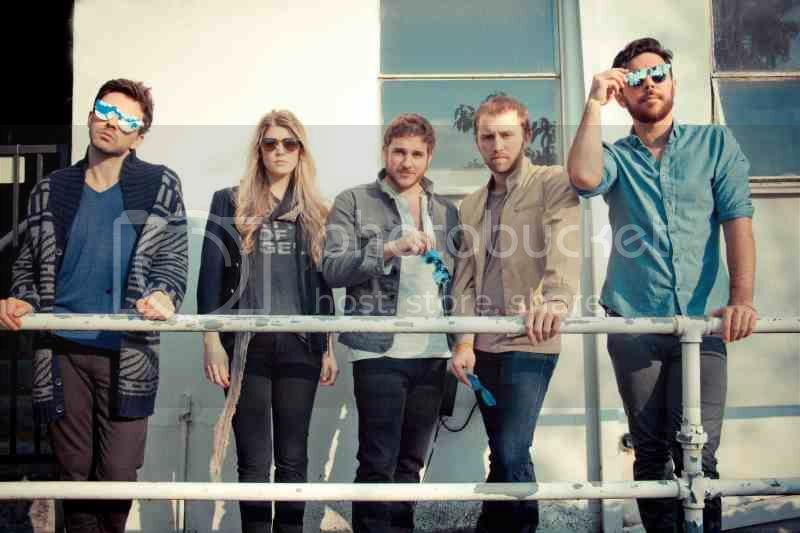 Milo Greene is: Robbie Arnett, Graham Fink, Andrew Heringer, Curtis Marrero and Marlana Sheetz.